Idube is a safari lodge situated in the Sabi Sand Game Reserve, in the heart of South Africa’s premier wildlife conservation area of the Greater Kruger Park. Game, including the Big 5, is viewed really close by from open Landrovers, or spotted on guided walks. All our experienced rangers and trackers are trained to give guest the best possible wild life experience. 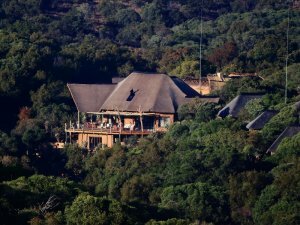 This three-star Lodge with its thatched chalets and en-suite bathrooms ensure that Isiyala's guests feel pampered and relaxed. This magnificent reserve is 12 000 acres large consisting of savannah, bush veld and riverine areas, with hills and gorges, mountains and valleys.